Mata Amritanandamayi (Amma) is a spiritual leader and humanitarian. In 1981 she founded the Mata Amritanandamayi Math (MAM), an international charitable organization aimed at the spiritual and material upliftment of humankind. MAM conducts charitable work including disaster relief, healthcare for the poor, environmental programs, fighting hunger and scholarships for impoverished students, amongst others, along with its sister organization, the Mata Amritanandamayi Mission Trust. 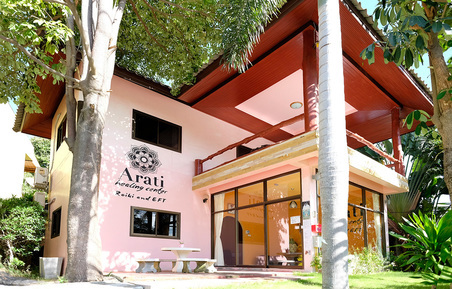 ​The philosophy of Arati Healing Center is to enjoy the experience of Reiki, whether you are a novice or an experienced student of Reiki. Reiki can change your life in a completely positive direction. After practising Reiki and sharing it with students from across the world for many years, I received the blessing of my spiritual teacher Amma to establish Arati Healing Center on the beautiful island of Koh Phangan in Thailand. Learn this holistic healing method and it may change your life forever in a positive direction. ﻿Give yourself a treat: Reiki relaxes and de-stresses you at a very deep level. Always just what you need. 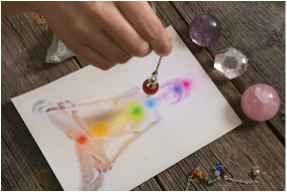 Bring your energy centers in balance and remove blockages on an energetic or emotional level. "It is my job (hired by EDGEtv.com) to find great healers around the world. I have been to Peru, Bolivia, Bali, Java, and Thailand, searching for great healers. There are very few people I've encountered where I really felt something good happen deep down inside after a session. Klaus at Arati Healing is one of those people. He has a gift. I'm sure he would not say it that way, but it's true. Some people just have a gift for healing and he is one of them. I'm very grateful to have had a session with him. I am also thinking about going back to Thailand and studying Reiki with him." ​"I met Klaus 2 weeks ago and it was a wonderful experience! His energy is so strong and protective it was a magical moment... Thank you Klaus for seeing me as I am; making me grow more and allow me to leave what has to be leave behind me, I feel happy and already look forward 2018 to continue my Reiki Level with you :) "
"I undertook my Reiki 1,2,3/Master here at the Arati Healing Center with Klaus and I could not recommend Klaus enough. I feel so blessed to have had Klaus as a teacher. He shares his knowledge with such passion, love and enthusiasm that you can not help but feel inspired to share the gift of Reiki to others." 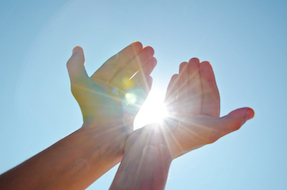 "I was so blessed to receive the great gifts from the universe through my Reiki course. After the course I realised that Reiki is a unlimited gifts. I did Reiki to everything possible. Myself, my food, my water, dogs, cats, even the poor and hopeless people along the street. It is the gift of the Universe the more you give the more you get! Thank Klaus Gourish my teacher. He is such an amazing beautiful mind person and so great at what he does with so much passionate. I like to invite all of you to visit him on the Phangan Island, at the centre of Srithanu. The first Reiki session is "FREE" for every "THAI" people! I felt so privilege to be Thai and so thankful for all the wonderful and kindness you have for every Thai people. I have witnessed myself the energy throughout the session. Love so much this opportunity in my life. Thank again to Arati Healing Center." We are happy that so many students have received the gift of Reiki already and can now spread the love! Interested in a treatment or a course? Send us a message.